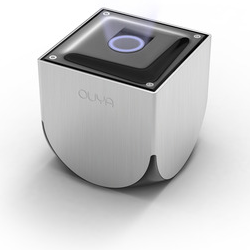 The folks behind Ouya have been making some changes as of late. There was a more pricey version of the console, then the Ouya Everywhere initiative happened. Now the company has announced it will no longer require all games to have a free demo attached. Be prepared for regular paid content to start popping up in the Ouya store. This doesn't mean the free-to-try model is going away, but developers will be allowed to ask for payment up-front. Ouya says this is about giving developers choice, but the free trials were a big selling point for consumers. It seems unlikely the company would do this unless it was getting an earful from devs. In the blog post, Ouya's Bob Mills says developers have been citing issues like budget, creative direction, and lack of interest in creating demo content. It will be a few weeks before the paid model is an option for developers, but the wheels are in motion. If this does succeed in getting more developers working on the Ouya, it might be worth any ill will engendered in the community.